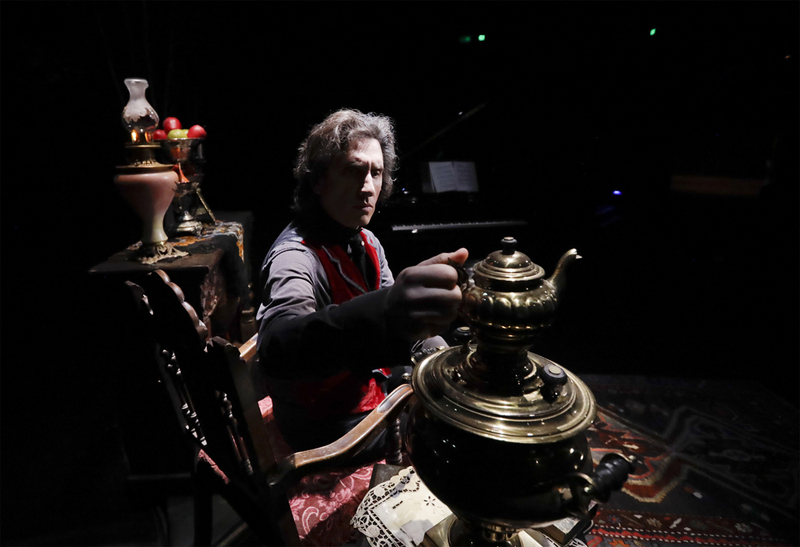 Hershey Felder portrays and performs as Piotr Ilyich Tchaikovsky in "Our Great Tchaikovsky." TheatreWorks SIlicon Valley is bringing the show for its Bay Area premiere to the Mountain View Center for the Performing Arts, January 10 through February 11, 2018. 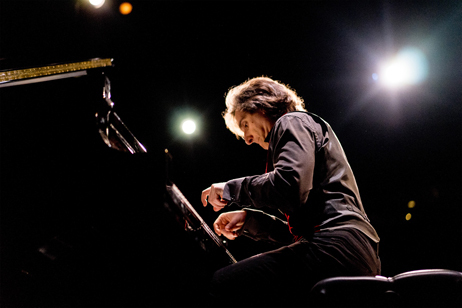 Hershey Felder opens a month-long run at the Mountain View Center for the Performing Arts on Wednesday, and if you don't already have your seats reserved, do so immediately. Felder is a major force in theater, writing, designing and performing a series of magnificent one-man shows that have set box-office records from one end of the nation to the other. Wednesday will see the San Francisco Bay Area premiere of "Our Great Tchaikovsky," about that giant of music. Previous Felder composer shows — which began with "George Gershwin Alone" in 2000, and continued with shows on Chopin, Beethoven, Leonard Bernstein, Franz Liszt and Irving Berlin, all the while he was creating and/or working on a number of other projects — have been enormously popular. And, no wonder. Felder spends months or years researching each subject, then writes lively, fascinating plays that illuminate the forces in each composer's life that culminated in the music they wrote. 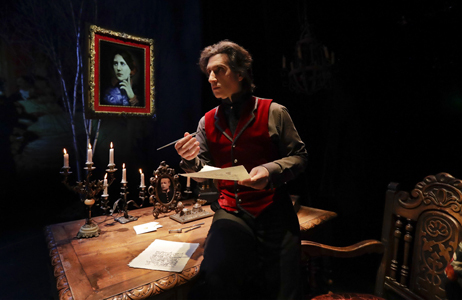 He is painstaking in his set design, filling stages with furniture and backdrops and props that help bring the audience in to the world of each composer and help us understand what drove them to do what they did. And he explains it all while performing their music on piano, and he is an excellent pianist. The shows are lively, fascinating and fun. Felder is tremendously charming, and takes the audiences in his hands, and carries them on thoroughly fulfilling voyages through the music. Tchaikovsky's music is some of the most powerful and popular of the classical genre — His First Piano Concerto, his amazing Violin Concerto, his music for the ballet "Swan Lake," the opera "Eugene Onegin," the ballet "The Nutcracker" and many other works, including fabulous symphonies, are the meat and potatoes for many orchestras. Felder's shows put the audience in the times and places the composers lived. "It has to be about the art, the artist and their time," Felder said in a telephone interview a few days before Christmas. "The time means things in how the music was written." Felder was asked, by a Russian, to write a show about Tchaikovsky, who was Russian. "It was a huge responsibility to look into that character," Felder said. I always loved the music, but I didn't know much about the man. I discovered some interesting problems that could be quite theatrical , that could be the basis of a show." One of the keys to Tchaikovsky, as it turns out, is why the show as Felder wrote it has not been performed in Russia, and isn't likely to be anytime soon. "He was a Russian hero," Felder explained, "but was clearly a homosexual." In the 1800s, it was very dangerous in Russia to be a homosexual, and could lead to a one-way trip to Siberia, or worse. These days, it's still dangerous to be gay in Russia, which is why the show Felder will present starting Wednesday at the Mountain View Center for the Performing Arts hasn't been seen in Russia. 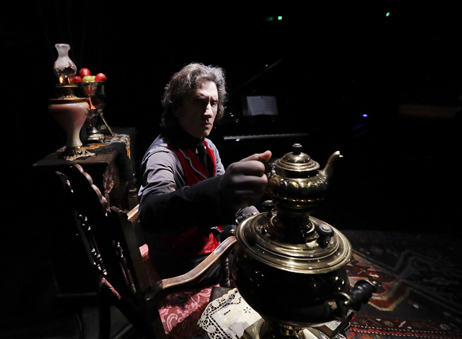 "It was a very driving factor in Tchaikovsky's life, and you can't ignore it," said Felder. "It was so important to him, and his hiding and his fear of being found out. "It was entirely a factor in his music," said Felder. "He says so, in letters throughout much of his life." Tchaikovsky was a prolific writer and receiver of mail, and much of the drama of his life is recorded in letters he wrote and received. The letters were not always publically available, said Felder, but have been the last 30 years. In addition to loving Tchaikovsky's music, Felder is sensitive about the composer's plight in repressive Russia. "Of course I am sympathetic," Felder said. "I'm sympathetic with anybody who can't be what they are." Tchaikovsky was not liked by many music critics of the time, Felder said. "One wrote that it was ‘music you can actually hear stinking.' But he was popular with the public. "When it comes to new art, it's always complicated." It's too easy to become a critic these days, Felder said. "With all these blogs, and they all want the tickets. "But in the end, good art stays." "Our Great Tchaikovsky," Felder said, "explores who he was in his time and how that drove his music. His homosexuality was just one aspect. There was, for instance, his relationship with his patroness, Nadezhda von Meck, whom he never met face to face. Well, they did, once, but he didn't speak to her. She refused meeting him, said she wanted to hold him in perfect regard." And Tchaikovsky was married to a woman once, for two and a half months. 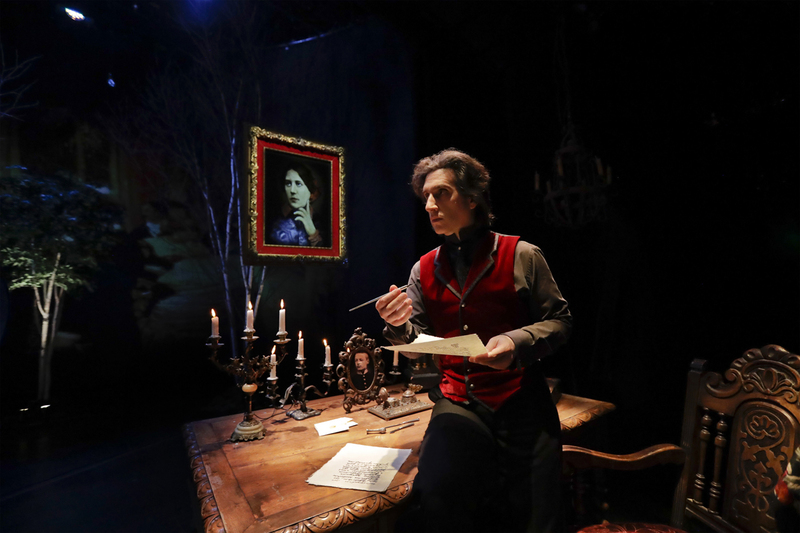 And, even since he opened "Our Great Tchaikovsky" — at San Diego Repertory a year ago, where it was the highest grossing show in 41 seasons — Felder said, "The very perspective has changed. It's very complicated." Felder spoke of the long series of accusations of sexual abuse against prominent people, and of the current president. "There needs to be education. Harassment needs to be defined. Serious attention must be paid to education. It's a struggle." And then there is the president — himself accused by many women of harassment — and his record of lying about issue after issue, day after day. So much that the Washington Post has kept records of the lies. (In November, the Post wrote that the president had made 1,628 false or misleading claims in 298 days, or an average of 5.5 claims a day. "The scary thing about the Washington Post keeping track is that so few people believe it. The scary part is how many people refuse to believe it," Felder said. "The truth has sort of lost its sense of being. "The truth has to mean something." His wife, Kim Campbell, was and is the first and only female prime minister of Canada, told him, "don't normalize this stuff." "America is, or was — I'm not sure of the tense at this point — such a beacon of hope to the world," Felder said. "That it is beginning to dim is very, very sad."